Let's make the most of the outside space ? Holidays in the summer mean lots of outdoor living. It’s for this reason that at the Gite de la Gravée we offer different outside spaces : shaded, semi-shaded and full sun. 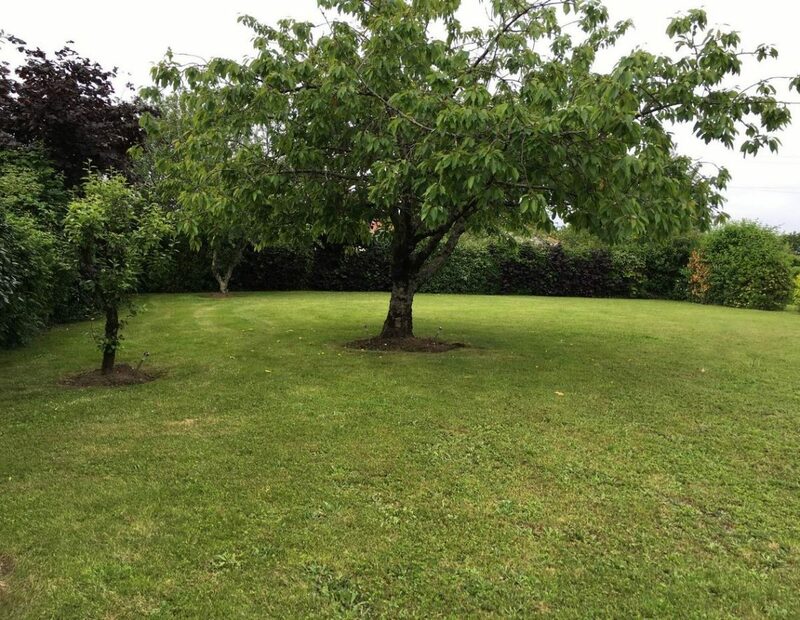 These areas are around the gîte and look onto the private garden which is exclusively there for your use. It is partially enclosed by shrubs which offer privacy and there is direct access to the private parking. Firstly, apposite the kitchen is the summer lounge area which is located in the former area used to make wooden clogs many years ago. Open to one side this area with its beautiful stone walls will protect you from the wind, the rain and the hot sun. It is perfect for outside entertaining with a barbeque area and dining table with six chairs. It will soon become your dining room (breakfast, lunch and dinner) as it is suitable for all times of day and this is where we store the deckchairs for when you fancy sunbathing, relaxing or reading in the garden. Next to the summer room in the garden is the terrace which is sunny and is perfect for those who love outdoor living offering a warm sunny spot. There is a dining table here for you to eat outside and if it gets too hot there is always the parasol ! Leaving the terrace you can access the garden which is for sole us of guests to the gîte and can be accessed by a side door. A gardener comes regularly to mow the lawn. 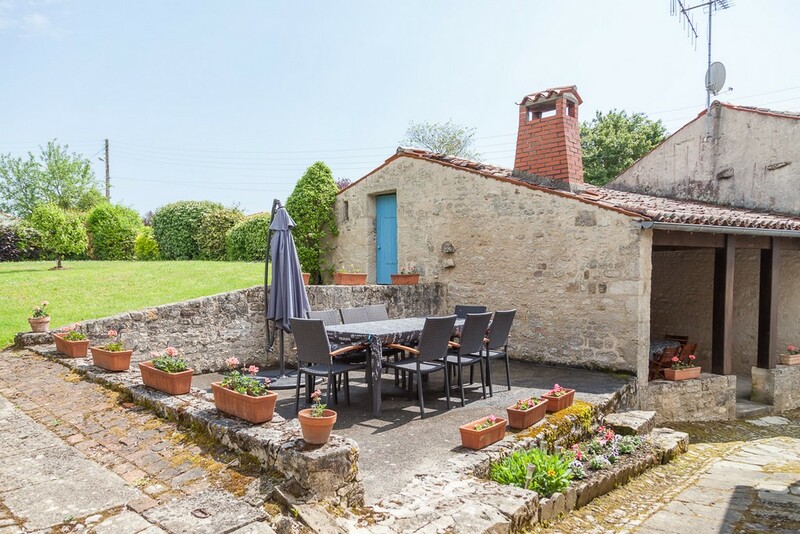 Within the garden is a small private courtyard which has the third dining table with 4 wooden chairs and is ideal for taking your evening aperitif as it benefits from the last of the sun’s rays until sunset. 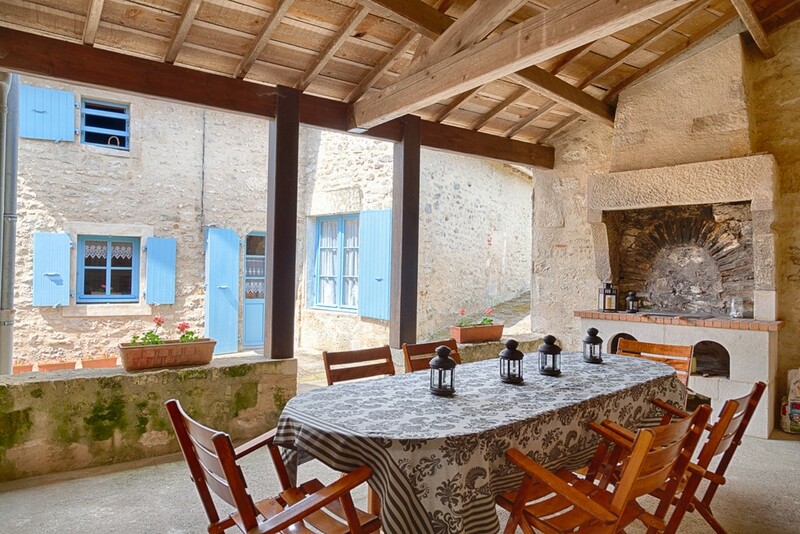 We have enjoyed designing the gîte’s beautiful garden and the varied outdoor spaces for you to take pleasure in. Carefully laid out so that you can enjoy eating outside during your stay at all times of the day and in all weathers. In the summer room, the former area used to house the old bread oven is now home to the barbeque, all ready for you to get grilling. A private garden is for sole use of the guests of the gîte. 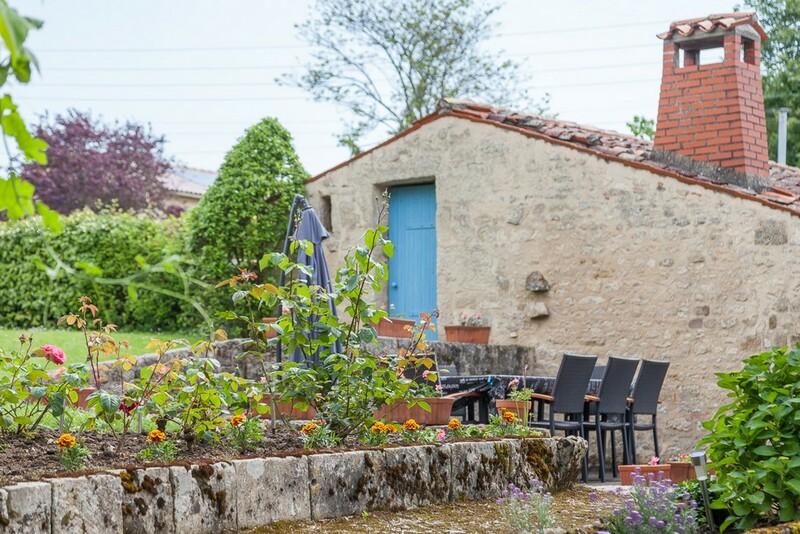 A private car park area is reserved for guests at the rear of the garden of the gîte. These are available for you to use when you fancy relaxing or reading.